Set of 4 wheels, (2) 20x9 fronts and (2) 20x10.5 rears. Give your 2005-2017 Mustang aggressive new looks with this Velgen VMB5 wheel. 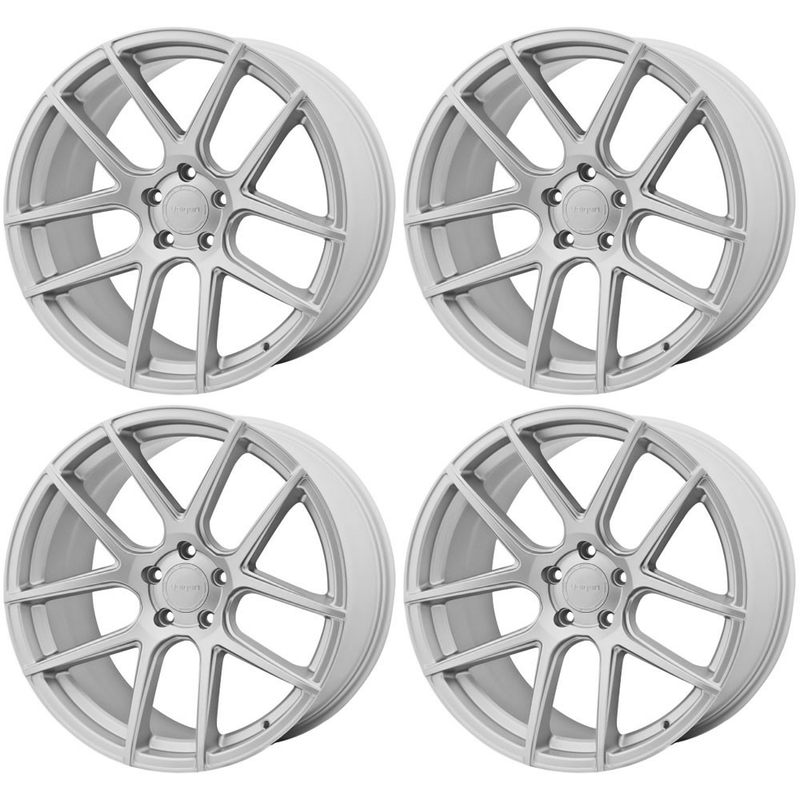 This 20" wheel features a multi spoke design to add custom styling to any S197 or S550 Mustang. The VMB5 multi spoke rim has 10 spokes with an inset lip on each spoke for race inspired looks. Each concave wheel is made from 356.2 aluminum ingot and undergoes both a low pressure casting and heat treatment to give them a high quality construction. After manufacturing, these wheel take on a series of radial testing, impact testing, and fatigue testing as part of Velgen's quality control service. These Velgen wheels require a metal centric ring for installation. This ring is included with each wheel. Velgen Wheels offers a 5 Year Manufacture Warranty & LIFE TIME STRUCTURAL WARRANTY. To any of our customers who have a warranty issue, please contact us direct to our warranty department to handle any warranty claims. Velgens warranty is only for the original purchaser. Please make sure all wheels are test fitted for proper fitment and brake clearance. » Front wheels are 20"x9"
» Rear wheels are 20"x10.5"
» Backspacing-Front 6.38", Rear 7.52"
Requires smaller diameter lug nuts, OEM lug nuts will not fit. 2005 2006 2007 2008 2009 2010 2011 2012 2013 2014 2015 2016 2017 V6 GT GTS 2.3 Ecoboost Mustang Cobra Shelby Roush Saleen & Steeda Vehicles. No one else can stack up to the bold clean styling of our aftermarket Billet dress ups, Street Strip & Racing Suspension & Performance Parts for your late model American Muscle Car!